ELKHART – Barry Singrey has been tabbed as the new Elkhart Central boys basketball coach. Singrey, a 2007 Wawasee High School graduate, replaces Terry Smith. Smith resigned in May after two seasons in charge of the Blue Blazers to pursue other opportunities in the southern United States. Singrey has spent the past three seasons as the boys basketball coach at Heritage High School, located in Monroeville southeast of Fort Wayne. He posted a 34-32 mark there, including going 16-5 this past season when his team led the state in points-per-game allowed at 36.57. It was the first winning season for the program since the 2008-09 campaign. Singrey played for coach Phil Mishler at Wawasee. The Warriors were 16-6 overall his senior season in 2006-07. Wawasee went 20-5 his junior year and won a sectional title after posting a 20-7 mark his sophomore season, which included both sectional and regional championships. Singrey, who also attended Grace College, spent four seasons as an assistant coach at Wawasee. He worked for both Mishler and coach Steve Wiktorowski in the Warrior program. Elkhart Central finished 10-13 overall and 5-7 in the Northern Indiana Conference during the 2017-18 season. The Blue Blazers were 20-3 overall and 10-2 in the NIC in Smith’s first season in 2016-17, losing to Warsaw in the championship game of the Class 4-A Elkhart Sectional. 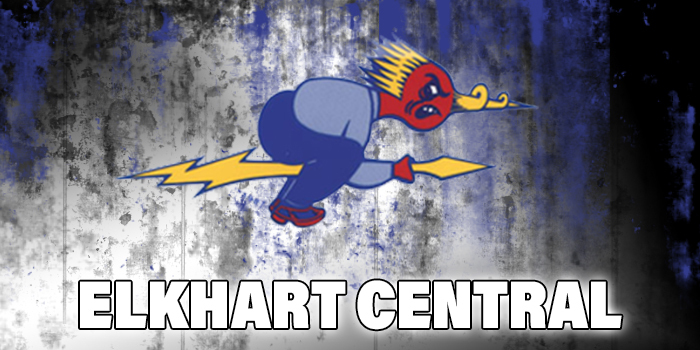 Central is scheduled to merge with Elkhart Memorial into one high school in 2020. Singrey and his wife Hilary, a Warsaw graduate, have a three-year old son Weston and five-month old daughter Morgan.